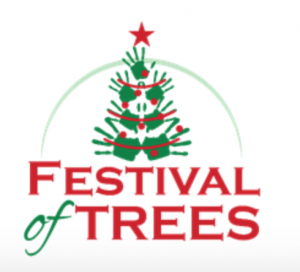 It’s that time again, friends! 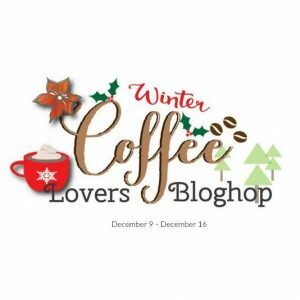 I’m excited to share a little something ‘sweet’ with y’all today for the 2016 Winter Coffee Lovers’ Blog Hop! 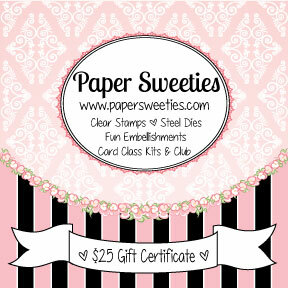 This cutie patootie card was simple to whip up. CAS at this time of the year works for me, how about you? I die cut the cocoa mug from red glitter paper, die cut the steam from white cardstock, stamped and die cut the peppermint stick and stamped the sentiment. I adhered all die cut pieces to the card base, added some sparkly sequins and then faux stitching around the edges of the card base. Easy peesy! 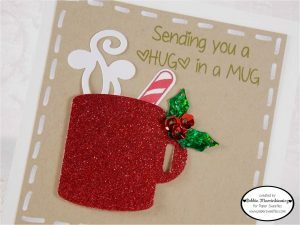 To go along with the cocoa card, I whipped up a little sweet treat of Peppermint Ghirardelli hot cocoa packets wrapped with some beautiful tulle and then created a little tag and holiday nosegay! For the tag, I die cut the mitten twice, once with cardstock and once with felt for the cuff. I stamped the ‘cocoa’ sentiment, die cut it and then adhered to the mitten using a foam dot. I stamped the ‘yes please’ sentiment directly onto the mitten base and then added some sparkly sequins to tie the gift to the card. I tied the mitten tag onto the tulle bow using button twine and then added a candy cane and some fun jingle bells! In my world, every holiday project ‘needs’ candy canes and jingle bells!! 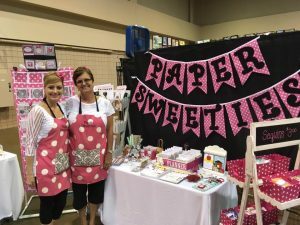 Paper Sweeties is a proud sponsor of the Winter Coffee Lovers’ Bloghop and has donated a $25 gift certificate for a shopping spree! 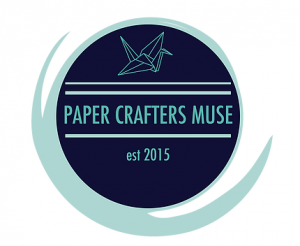 … our December ‘anything goes’ challenge! 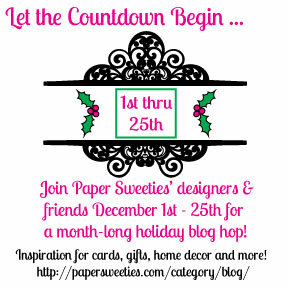 You can share a holiday/winter theme project with us either on the blog or in our Facebook challenge album! 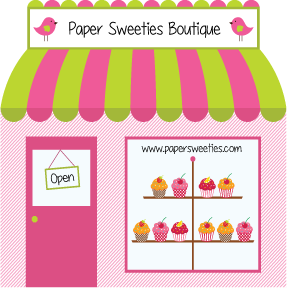 And, our 25 days of Christmas with Paper Sweeties annual event! 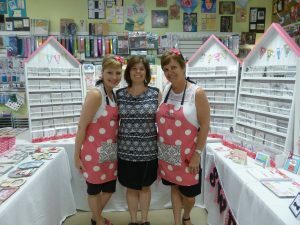 The design teamies and some very special guest designers, including our talented CLBH host Amy Tsruta, are sharing projects each day December 1st through 25th to help spark ideas for your holiday crafting, decorating, entertaining and gift giving needs! 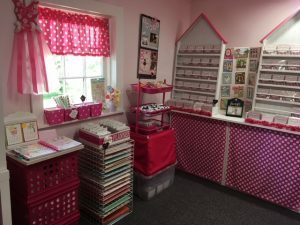 Plus, each day we are offering a DAILY DEAL with tremendous savings on products from our shop … today’s deal is 50% off the goodies I used to create my gift set — no coupon required! Fabulous! 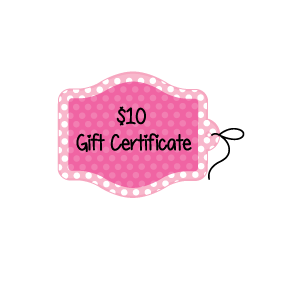 Thanks so much for participating in our Really Reasonable Ribbon Challenge. 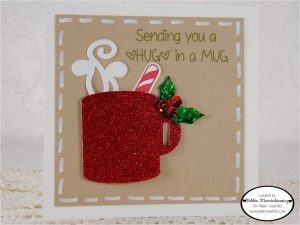 Cute card and I love the glittery mug! What a great card with the sparkly cup. Absolutely love the cocoa wrapped with the tulle and decoration. 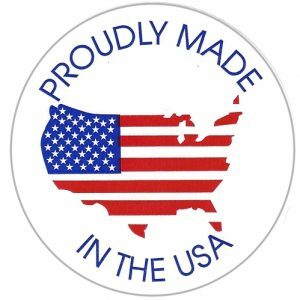 Thanks for sponsoring the hop! 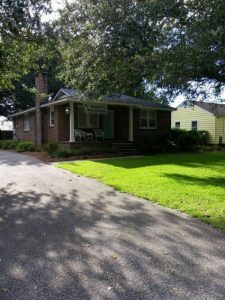 I love your beautiful festive projects! 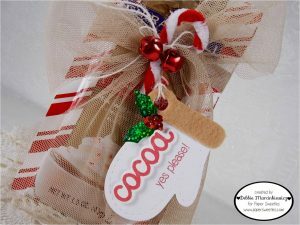 The cocoa pack is such a fun idea for Christmas! 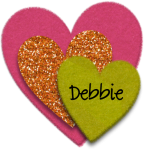 Thank you for sponsoring my favorite blog hop! What a lovely idea. I’m sure your son and his girlfriend loved it. Lovely work. Thank you for joining the challenge at 12 months of Christmas. Hope to see you again next time.